Our Oregon road trip was sponsored by Mazda USA. 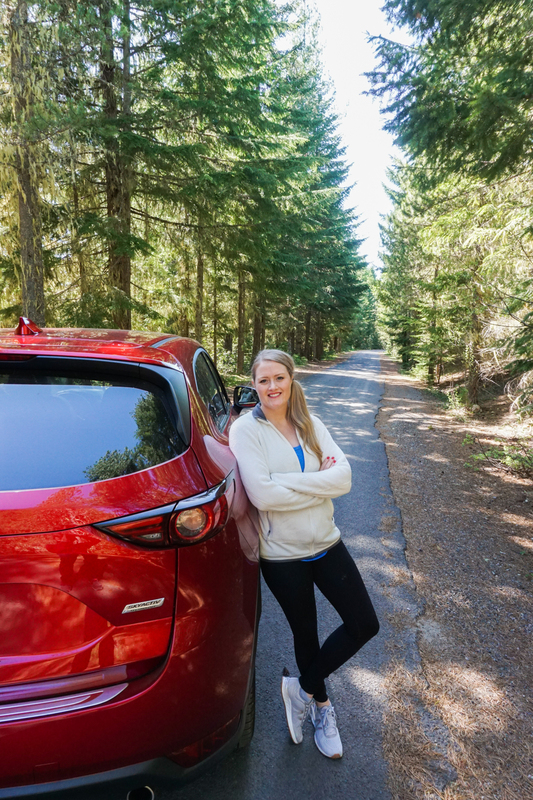 We drove the 2018 AWD Mazda CX-5 from Portland to Bend and there are plenty of amazing stops in between! If you’ve ever visited Texas in the spring, you’d probably assume it was already summer. It gets HOT (like REALLY hot) down here and our spring weather is probably the high temperatures in most places in the summer. 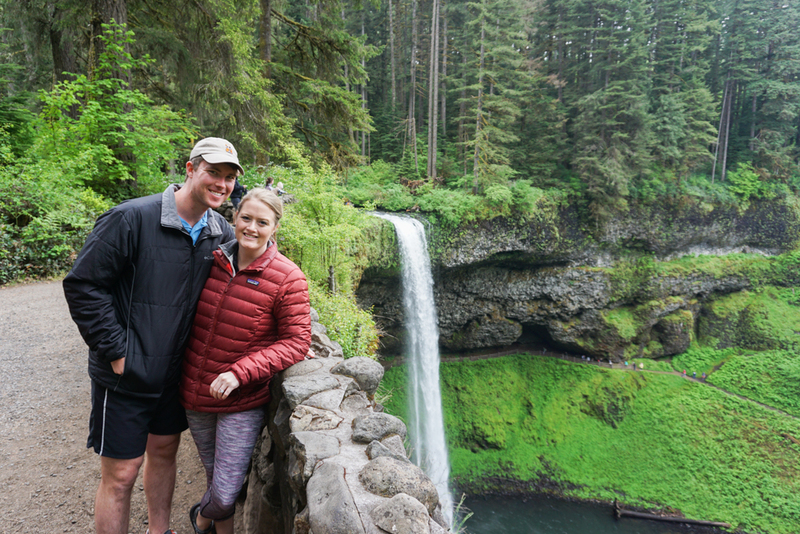 By May we were already eager to escape the heat and humidity of the gulf coast so we hopped a flight and ended up in the beautiful state of Oregon! 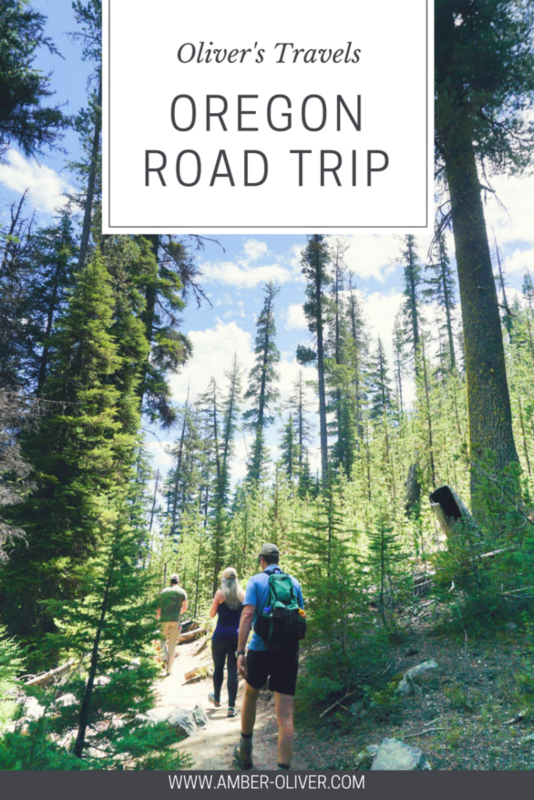 Our Oregon road trip was one of my favorite trips we’ve ever taken and I’m eager to share all the details of our drive from Portland to Bend and all about our stops in between. We arrived in Portland on a Wednesday afternoon and our first stop was for lunch! 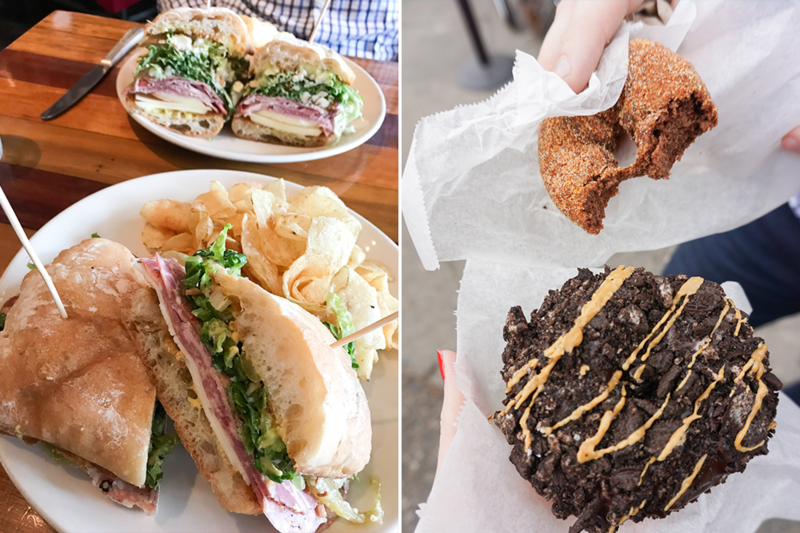 We had the most amazing sandwiches at Olympia Provisions. After lunch, we headed over to the famous Voodoo Donuts! We’d heard that the lines for this quirky donut shop were usually super long but we only waited about 10 minutes! We even got a parking spot right out front – perks of visiting on a week day I guess! 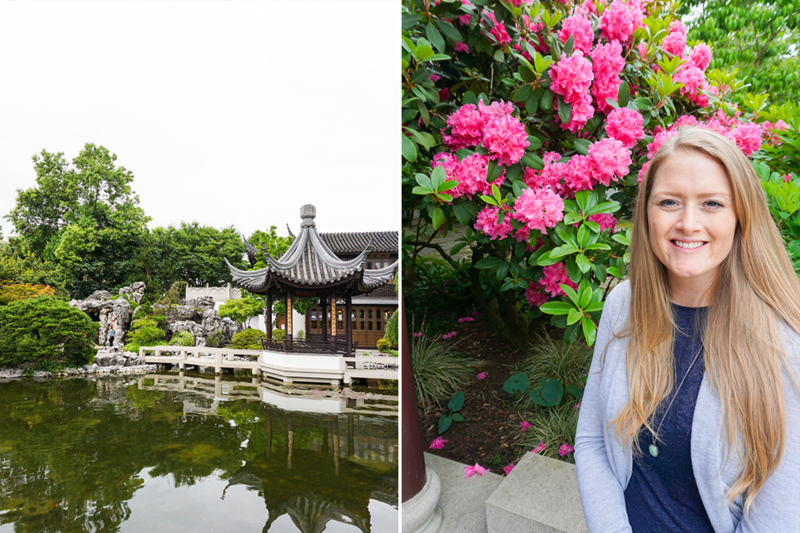 After lunch, we stopped into The Lan Su Chinese Garden. These gardens were beautiful and they had a very interesting and informative tour. Definitely worth a stop! That evening we drove up to Kalama, WA to stay the night with a friend. We had dinner at 3peaks Public House then turned in early since our Oregon road trip from Portland to Bend would begin the next morning! We woke up Thursday morning ready to hit the road! 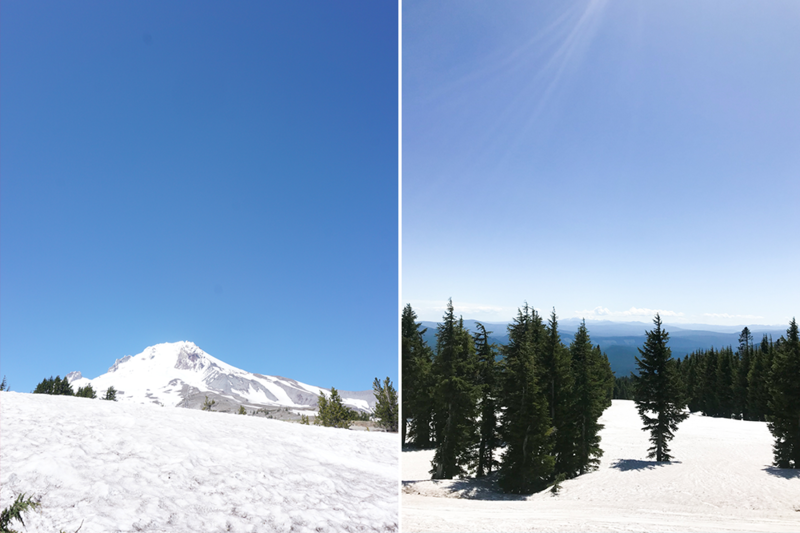 Our Oregon road trip technically began in Washington, but we did make the drive from Portland to Bend and back. We loved driving the 2018 AWD Mazda CX-5 – it had plenty of cargo room and it was just straight up FANCY! My favorite feature was the Active Driving Display – you can see current speed, route guidance, and more projected onto the windshield! Super helpful on our long drive. The whole drive Eric and I were in disbelief at how absolutely beautiful Oregon is! Everything was so green and we were driving through the tallest trees I’d ever seen. Our first stop was at a gas station and would you believe it – you can’t pump your own gas in the state of Oregon! Who knew!? The drive continued until we reached Mt. Hood Brewery in Government Camp, Oregon. We stopped for lunch and chatted about our next stop – Mt. Hood! After lunch, we drove up to the Timerline Lodge! (60 miles east of Portland) If you’ve ever seen The Shining, you’re familiar with the outside of this U.S. National Historic Landmark. It was so much more than the backdrop to this famous movie: built in the mid-30s, it was constructed and furnished by local artisans during the Great Depression! A really cool stop with lots of history and great views of Mt. Hood! 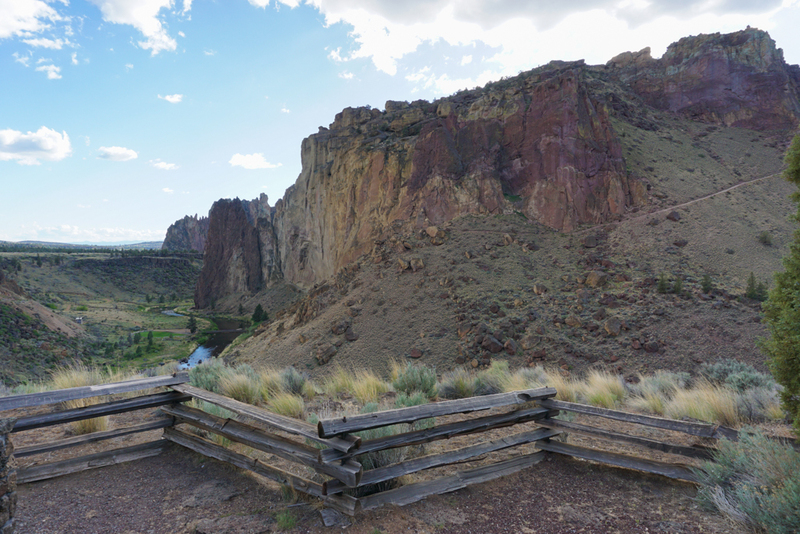 After leaving the lake, we drove on toward Terrebonne, OR and stopped in Smith Rock State Park. We were officially out of the beautiful forests and and now onto a completely new landscape. It was also MUCH warmer! 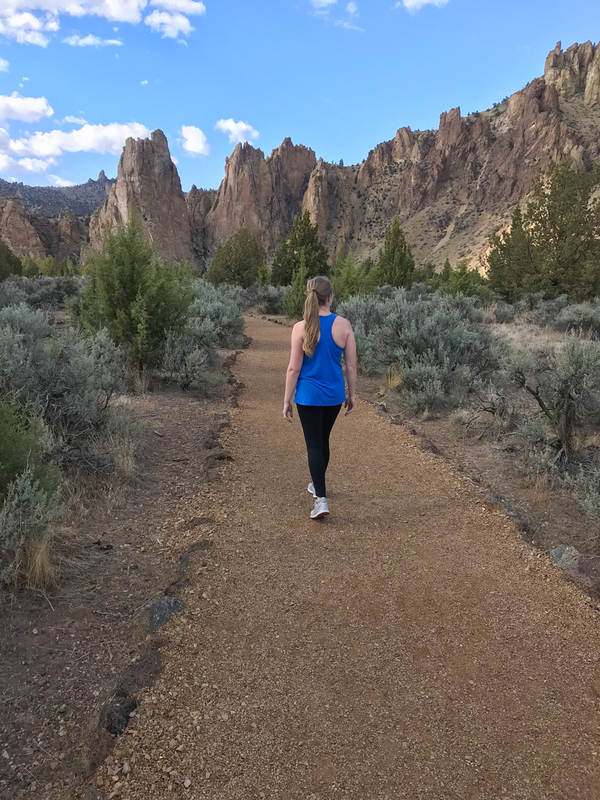 Temperatures were in the 40s when we woke up and got up to high 50s most of the morning but by the time we were at Smith Rock it was in the warm 70s but breezy! We didn’t have nearly enough time for this amazing stop. 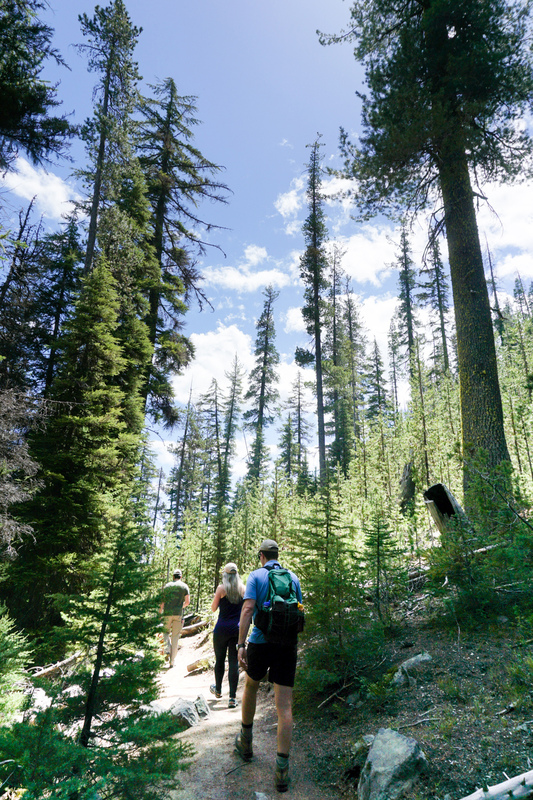 If we go back, we’d love to spend at LEAST a full day hiking and exploring this amazing area. After a short stop in Smith Rock (and lots of photo opps! ), we continued on. We’d finally made it from Portland to Bend! Because the weather was showing a chance of rain, we opted to stay in an Airbnb this night. Bend, Oregon is an absolutely adorable little town and our Airbnb was equally as adorable. We had a fenced in yard (perfect for our furry friend that came along on the Oregon road trip!) and we had plenty of space for yard games. It was perfect weather in the perfect little town. We were able to walk everywhere – including to dinner at Brother John’s Public House and for drinks at 10 Barrel before heading back for some time in the hot tub (perfect after driving all day). We got up Friday morning and grabbed brunch at McKay Cottage in Bend. After breakfast and a quick stop at REI, we were ready for another day of adventure! 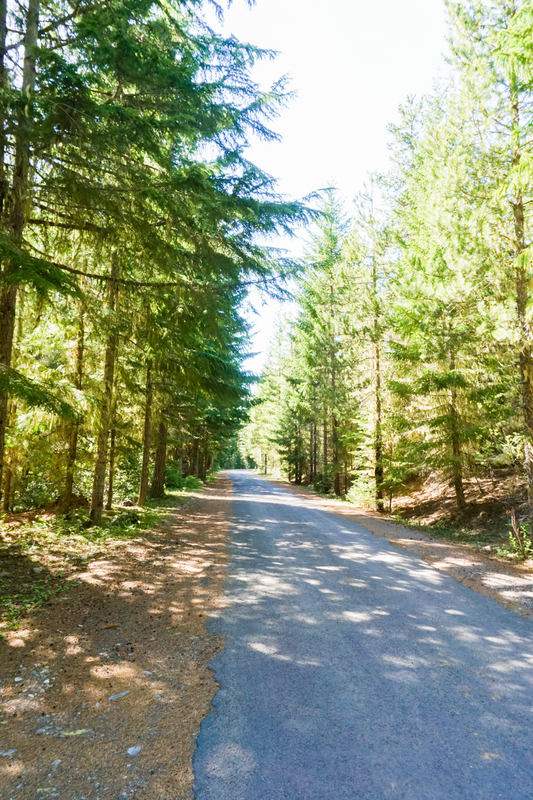 We had another beautiful drive – this time through the Deshutes National Forest. Our destination was Tumulo Falls! 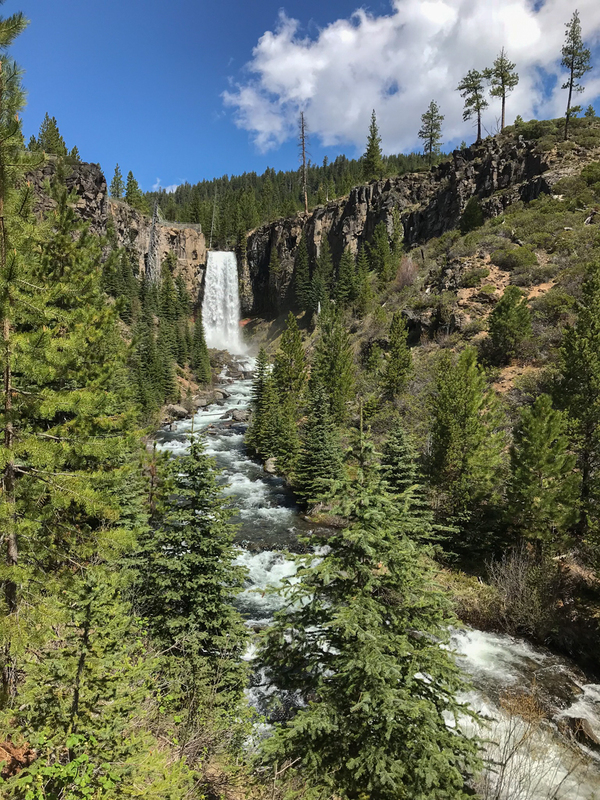 I was determined to find some waterfalls on this trip and WOW DID WE! What an amazing stop! It was pretty steep up hill, but well worth it! The views were amazing but OMG did it test my fear of heights! Several parts of this trip were outside my comfort zone, but that’s exactly what made it great! Tumulo Falls is stunning – just look at these photos! Now imagine how amazing they look in person! 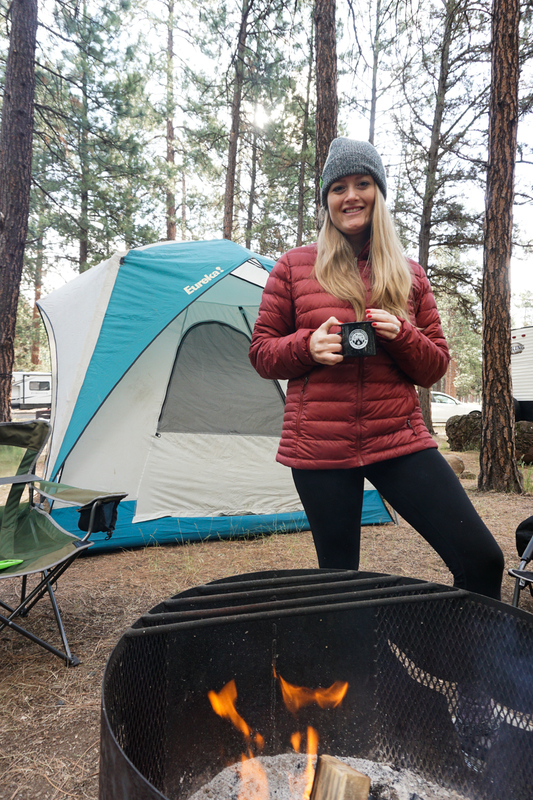 We setup camp (including chopping up firewood!) and had the most relaxing night I’ve ever had. We setup hammocks and a campfire, played 90s and Bluegrass tunes, and grilled brats and S’MORES! It was an amazing night hanging out (literally in the hammock!). 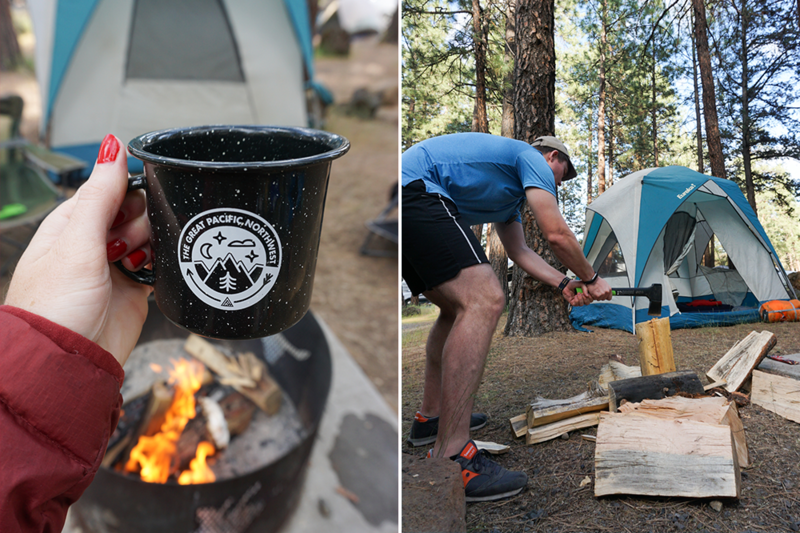 We woke up on a crisp Saturday morning, and had coffee and breakfast by the campfire before hitting the road again. For our drive back to Portland, we completed the circle by coming back through Salem, Oregon. We were able to stop at a road side stand and eat fresh strawberries on our drive. 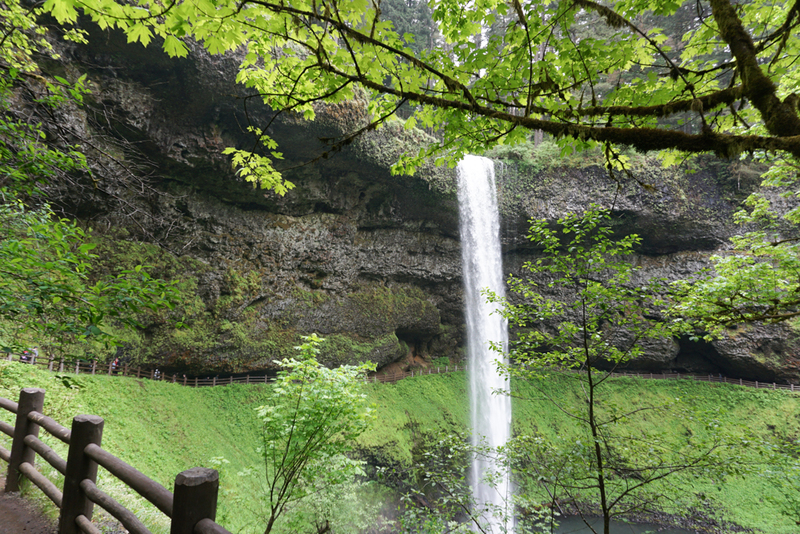 Our final stop was at Silver Falls State Park. The drive out here was stunning – not as many trees/forests but beautiful and lush green hills! 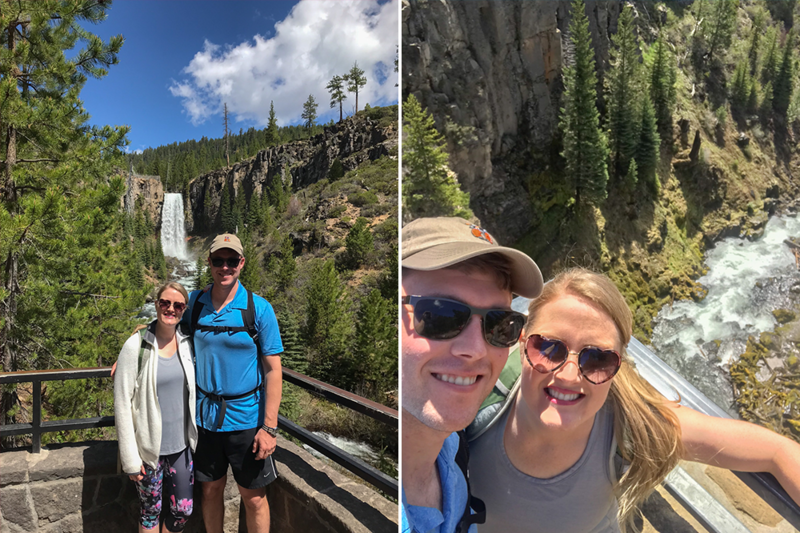 This was another stop that easily could be a full day of fun – but a short hike down into the forested canyons was rewarded with stunning views of more waterfalls! We even got to go behind one! 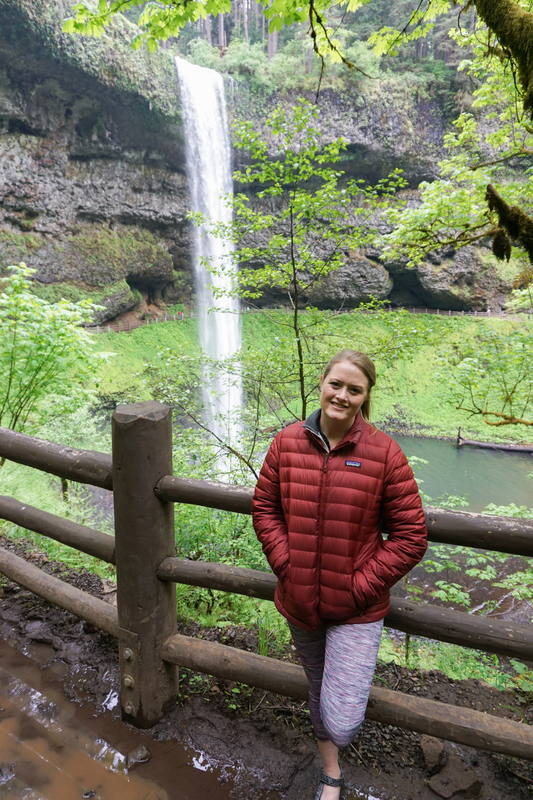 This beautiful state park was the perfect way to round out our amazing Oregon road trip! Our final day in Oregon we slept in since we stayed up late the night before watching The Shining! After visiting Timberline Lodge it seemed appropriate since I’d never seen it! We returned our Mazda CX-5 with a few more miles and a few stories it could tell. We headed back to Texas relaxed and happy after all the fresh air, exercise, and memories of an amazing trip! 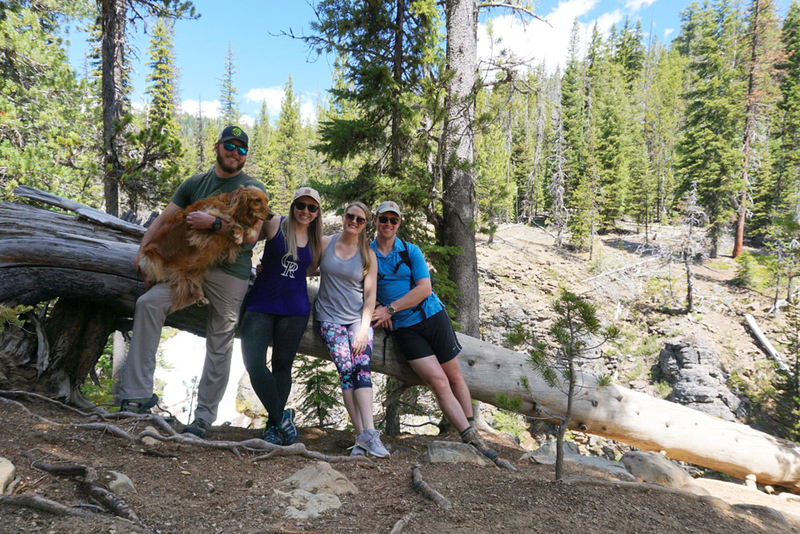 You can read about more of our travel adventures by checking out the Oliver’s Travels gallery! This includes awesome trip recaps from China, Thailand, Alaska, and more!